Dr. Zachery Williams is on a mission to make African-American Studies more accessible to the masses. The CommUniversity, an independent effort conceived by Williams, will begin in February, offering free classes centered on an African-American Studies curriculum. It will have a specific focus of tackling some of the most pressing problems, like the achievement gap and mass incarceration, facing African-American neighborhoods throughout the Cleveland and Akron areas. Though Williams has recruited faculty members from local colleges and universities to volunteer to teach in the program, the program is not sponsored by any one academic institution. It does have the backing of numerous community-based organizations and churches who have volunteered their facilities to host the classes. In the wake of drastic cutbacks in the Cleveland and Akron areas, community leaders say that a program like the one Williams has envisioned is critical to getting locals to even consider the possibility of someday enrolling in a two- or four-year college. Community leaders — some with little to no formal education — will also be tapped to facilitate group discussions and teach classes in this program, dismissing the idea that only academics have the solutions to the problems that beset urban America. 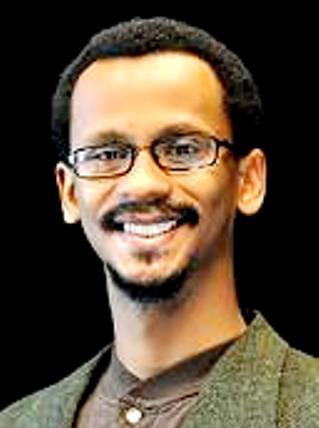 “We want the community to have the opportunity to weigh in,” says Williams, the author of In Search of the Talented Tenth: Howard University Public Intellectuals and the Dilemmas of Race in Academia, 1926-1970 and the editor of Africana Cultures and Policy Studies: Scholarship and the Transformation of Public Policy. The African American Studies interdisciplinary curriculum, he says, will serve as a bridge to bring academics, concerned citizens and policymakers together to understand and then address some of the community’s most vexing challenges. Williams has set a goal of raising $3,500 by the end of this month to help defray the cost of purchasing supplies and reading materials for the participants who are in the process of enrolling in the program. Dr. Nick Young, a sociologist and former college professor, says that Williams’ ambition and drive is encouraging. Williams hopes that his program will serve as a model for other professors looking to start a similar program in their area.